You remember Sham Fiction, right? It’s our podcast in which we write stories based on films, TV shows, books, and other pop culture sundries that we don’t know much about! Last season—which is still available in your favorite podcatcher—we wrote about such properties as Deadpool, Stranger Things, and The West Wing. This season, we’re bringing you more fun stories on all new stuff! But hark! A new game is afoot! In this new season, we’re shaking up the show’s format and raising the stakes! Each episode will now feature a head-to-head, no-holds-barred, eat-or-be-eaten DUEL! “But, Andrew,” you say, “that can’t possibly mean…” Mean what? That every new episode of Sham Fiction will have two stories rather than one? Full well it does! Here’s how it’ll work: The host has only eight minutes to pitch a property of their choosing, after which the two sham-writers each get two minutes to ask questions. After a brief, informative commercial break, the writers return to read their stories, and the host makes their determination as to who loses less! (As you’ll learn, there are no winners in the Sham Fiction arena. It’s pretty brutal.) The trio then takes the remainder of the show to discuss what worked about the stories, what didn’t, and how they compared to the source material. We’re eager to begin sharing the new season with you, and thankfully there isn’t much time left to wait! The first full episode will drop on Monday, February 5th. 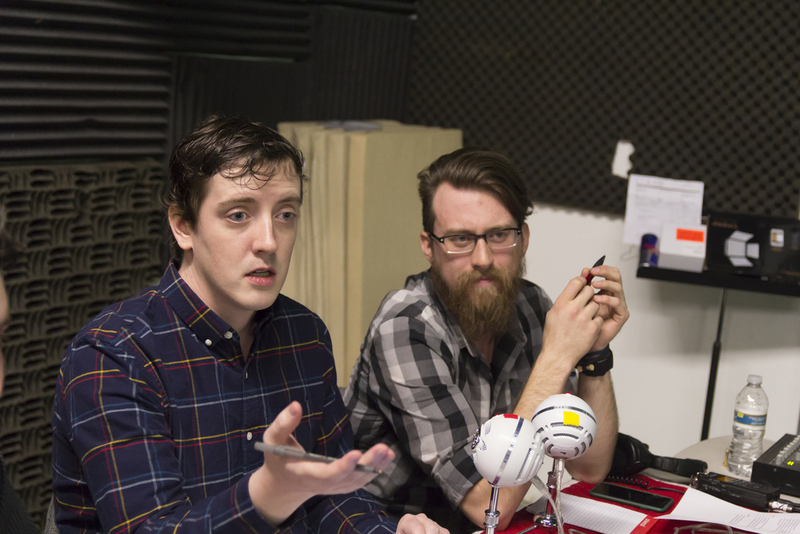 From there, we’ll release a new episode every two weeks for the rest of the year. But hark again! You won’t even have to wait that long! On Monday, January 22nd, we’ll be dropping Episode Zero, in which we discuss the new season and format in detail, as well as three—once again for effect: THREE—demo episodes. These are test ‘casts we recorded last summer to try out the dueling format. The stories in these demos are too good to be stashed away in the sham vault, so we thought we’d share them to give you a preview of what’s to come! If you haven’t already, go—right cussin’ now!—to your favorite podcatcher and subscribe to the show. That way, you’ll receive the new episodes as they’re released. Get ready to rumble, baby! More Sham Fiction is on the way! Eric, Marcus, and I hope you’ve been enjoying our podcast, ShamFiction. We’ve had a hell of a lot of fun making it, all while learning a lot about writing and storytelling. If you haven’t started listening, now is a great time to subscribe and start. We just finished a special run of episodes called the ShamCom trilogy, in which we each wrote for popular sitcoms that we hadn’t ever seen. Eric wrote The Big Bang Theory, Marcus wrote Friends, and I wrote Frasier! 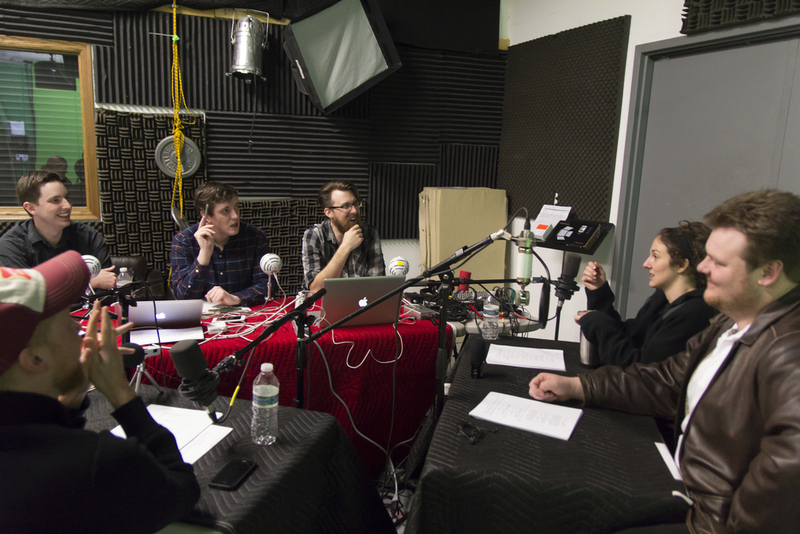 For these episodes, we wrote in screenplay format rather than prose and then invited four actors from previous Two Jackets film productions - Rachel Palashewski, Joe Rapp, Katie Vannelli, and Allen Voigt - to perform the scripts on air! We Jackets are used to performing the fics ourselves, so handing those duties over to the cast was both a relief and an absolute pleasure! As anticipated, they rocked it. Speaking of rocking, I haven’t mentioned another treat of the ShamCom trilogy: the theme songs! You can’t have a sitcom without a theme song! (Well, you can, but-- why?) As an added challenge for these ShamCom assignments, each Jacket had to write an original theme song for their show. 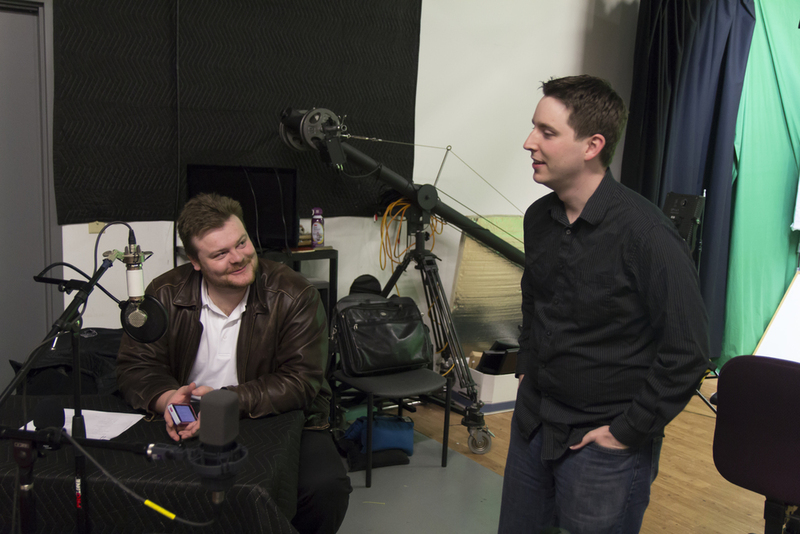 To ensure choice quality, we brought in our good friend and composer extraordinaire, Reed Reimer, to create the music. Pretty great, right? The “Bazinga” bit in the Big Bang video makes me laugh out loud every single time. So check out ShamFiction! You can find it here on TwoJackets.com or in the podcatcher of your choice. If you like the show, be sure to subscribe to get a new episode in your feed every Sunday. And if you want to lend a hand, leave a rating and review. Those things do legitimately help us reach a larger audience, and we appreciate your feedback. This upcoming weekend (June 3-5), Two Jackets Productions is diving back into the filmmaking game with the 2016 Minneapolis 48 Hour Film Project. We’ll be back soon with a recap of how that all goes down. We’re pumped! Until next time, enjoy ShamFiction!